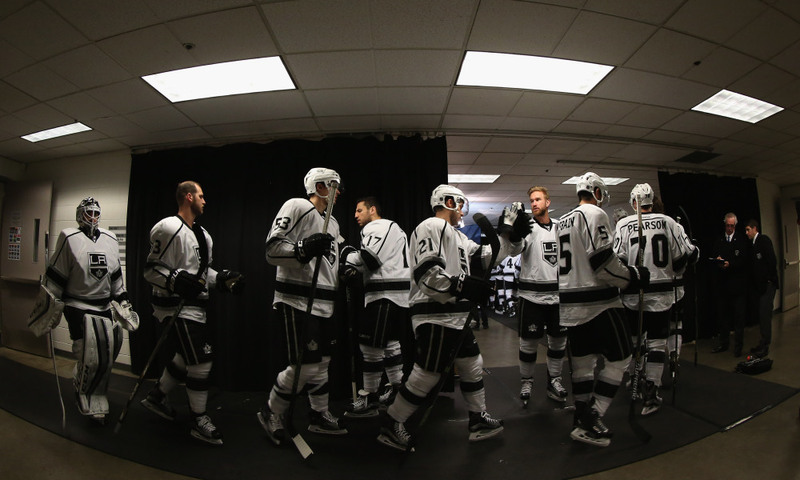 The Los Angeles Kings head to the ice. LOS ANGELES—The National Hockey League commences its 101st season on October 4 – one that represents for the Los Angeles Kings a shot at redemption in the wake of missing two playoffs in three years. It also represents their shot at a possible third Stanley Cup. How long of a shot that may be remains to be seen, but the addition of an eighth team –the Las Vegas Golden Knights to the Pacific Division will likely make the Kings chances of a playoff run even slimmer. Connor McDavid is expected to carry the Edmonton Oilers to a leading position in the Division, while the Anaheim Ducks and San Jose Sharks both present stiff intra-California competition for the Kings. The Calgary Flames will likely field one of the best defenses in the NHL in the coming season and the team’s recent addition of veteran Jaromir Jagr will no doubt pay dividends in the long run. The Las Vegas Golden Knights will be the true dark horse candidate in the Pacific and only time will tell how well they will match up against the Kings in the course of their debut season (though having Marc-Andre Fleury in their corner should go a long way in the playing field). After a disappointing season where the Kings finished as one of the Pacific Division’s bottom three teams, management decided to let go longtime coach Darryl Sutter. Sutter lead the Kings to both of their Stanley Cup wins. The team selected former assistant coach John Stevens to replace Sutter. He is on record stating his primary focus will be on rebuilding the Kings’ offensive capabilities. One of his first major moves as coach was to bring aboard a dedicated offensive coordinator in the guise of Pierre Turgeon, a former All-Star player who currently ranks 38th in all-time career goals in the NHL. A renewed emphasis on overwhelming offense is a remedy to what was arguably the Kings greatest problem last year: an inability to score goals. The team collectively scored 199 goals in the 2016-2017 season, greater than only five other teams. In addition, team captain and driving force, Anze Kopitar had the worst season of his career, obtaining only 52 points. A return to form by him is critical for the Kings, as their only experienced new addition to the offensive roster during the off-season was left winger Michael Cammalleri. It’s clear from the lack of new blood that if the Kings are to have any chance of upping their goal-scoring abilities, the changes are going to have to come from inside the established roster. As a counterpoint to last year’s lackluster offense, the goaltending staff allowed a comparatively few amount of goals during the regular season, letting in 201 total – the sixth best in the NHL. That was largely without main goalie Jonathan Quick, who sat out last year’s season for four and a half months due to an injury sustained during the Kings very first game. If the Kings are able to maintain a similar or better level of defensive quality, as well as find their footing offensively again, they may have a chance at seriously contending with their counterparts in the fierce Pacific Division. The success of the team –and their odds of making the playoffs- depends on the ability of Kopitar and assistant captains Jeff Carter and Drew Doughty to rally the team’s core and generate the chemistry and aggressive scoring presence needed to make the Kings a force to be reckoned with once more.